Spain, as an important tourist destination in Europe, has always attracted a lot of foreign tourists and the local real estate investors. The country has a high standard of living and a stable position in the world arena, which gives reason to think about moving to Spain for a permanent residence. There are plenty of areas for this purpose on the coast of the country. One of the most picturesque towns on the Costa Blanca - Altea. 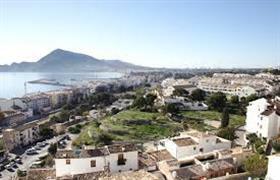 Real estate in Altea - a great acquisition in the resort area of Spain. Once upon a time - it was an ordinary fishing village. But gradually the settlement has become a wonderful resort town on the Mediterranean Sea, which has not lost its color. Altea - a kind of bohemian charm and absolute calmness. The city was loved by many artists, so there are a lot of art galleries and a proper environment in which it is pleasant to be and to live. There is a new elite district near the town - Altea Hills. The old town of Altea is located on a steep hill. It attracts with unusual white narrow streets with flowering geraniums, and one of the main attractions of the city, which are many in Altea, is a unique church of the Blessed Virgin Mary on a hillside. There is also a unique orthodox church there - Church of St. Michael. With regard to transport accessibility - the city has convenient transport interchanges and the nearest airport in Alicante is at a distance of about 50 km. In the old town is concentrated the bulk of restaurants and cafes, as well as prestigious residential properties in excellent condition, renovated outside and partially re-planned inside with a modern twist. There are also many modern buildings of different categories - from modest studios to prestigious penthouses and villas right on the beach. There are many offers in Altea, so the choice is wide. The resort is not the most accessible in real estate terms. The modest apartments with an area of 100 square meters are approximately 100 thousand Euros. Villas – up to a million, but there is always a chance to find affordable option from the owner. The process of registration of transactions is simple and transparent.